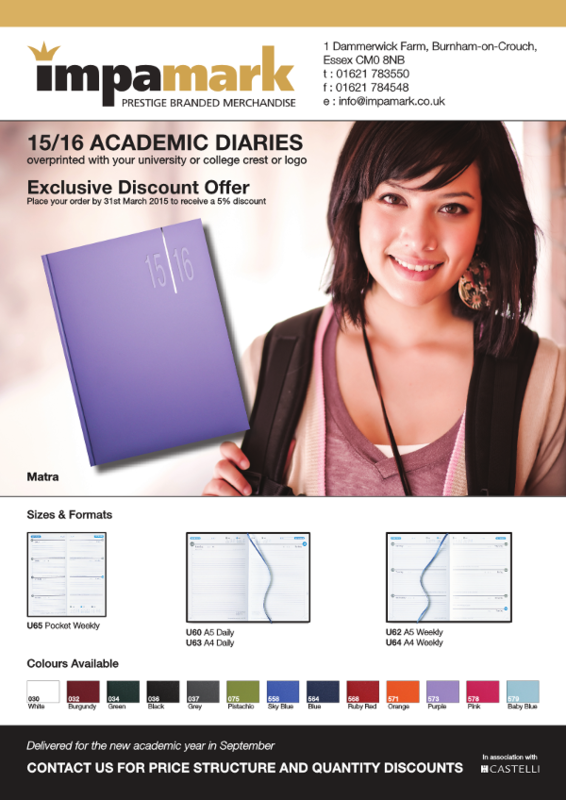 5% Discount on Academic Diaries until 31st March ! with academic diaries for many years with considerable success. Pocket weekly, A6 Weekly, A5 &amp; A4 daily as well as A5 &amp; A4 weekly and on FSC paper. purple, pistachio, pink, white and baby blue. repeat their orders year on year. the colours you require. An order can include mixed colours. supply you with a quotation. This entry was posted in General and tagged 2015, Academic, Diaries, Diary, Discount, University on January 8, 2015 by nicky.